Grandfather will love this framed poem written just for him. 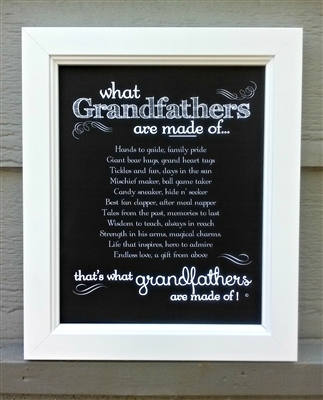 Our chalkboard styled framed print is the best gift for grandfather if you want to make him smile. 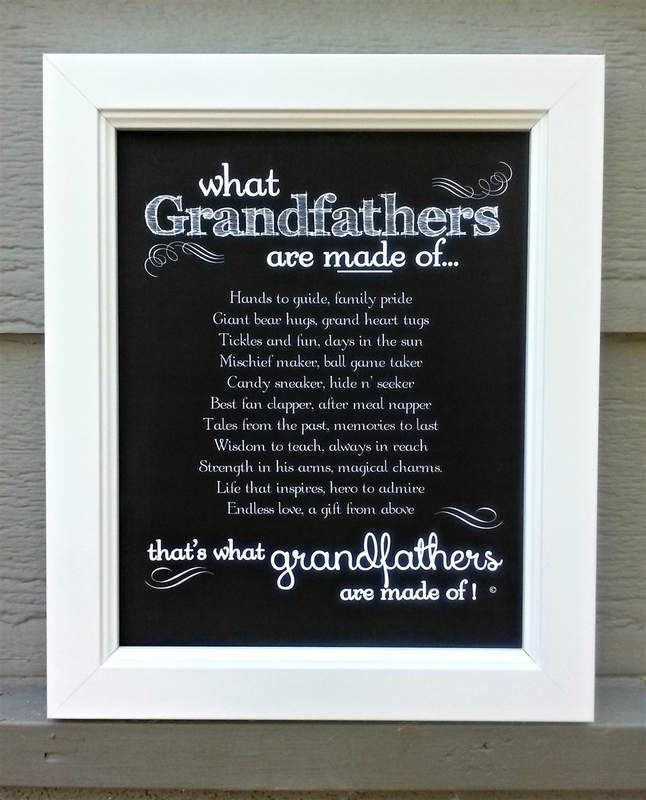 Grandfathers are made of so many wonderful things and this thoughtful gift says just that. Give this gift to grandfather for Father's Day, Grandparents Day or any time you want to tell him you love what he is made of! Grandparent Frame: First Grandchild Poem Personalized Grandpa Cross: Handmade Glass First Granddaughter Frame: 8x10 Personalized Handprint Frame: Give Me Five!